Why Rich Hill on Sunday, and Walker Buehler in The Tiebreaker? As everyone knows by now, the Dodgers are headed to a 163rd game to decide the National League West division. After a dismal 16-26 start, the rest of the year they played to a .625 winning percentage at a record of 75-45, which is a pace of 101 wins over the course of a full schedule. Now, combine that run with last season’s 104 wins, and over nearly two full season’s worth of data, it may be safe to say this is a consistent 100-win franchise at the moment. However, despite a run differential of +191 compared to the Rockies +38, the Dodgers must beat the Rockies in a one-game playoff to avoid facing either the Cubs or Brewers on the road in the wild card game, and to get there the staff and front office had a tough decision to make on Sunday: Who to start in game 162 against the Giants? The Dodgers had only two options with fully rested starters, it was going to be either Walker Buehler or Rich Hill. First thing’s first, they’re looking to use Buehler in the highest-leverage game, as opposed to Hill. The Washington Nationals chose not to start Max Scherzer in the finale against the Rockies, instead opting for rookie Erick Fedde, setting the Rockies as nearly a 2/1 favorite. At that point the Dodgers brass must plan for a Rockies win, meaning nothing was to be gained on Sunday, only lost. If they went with Buehler and matched the Rockies result win or lose, they just burned their clear best option for a tiebreaker, or wild-card game in a situation where nothing could be won. 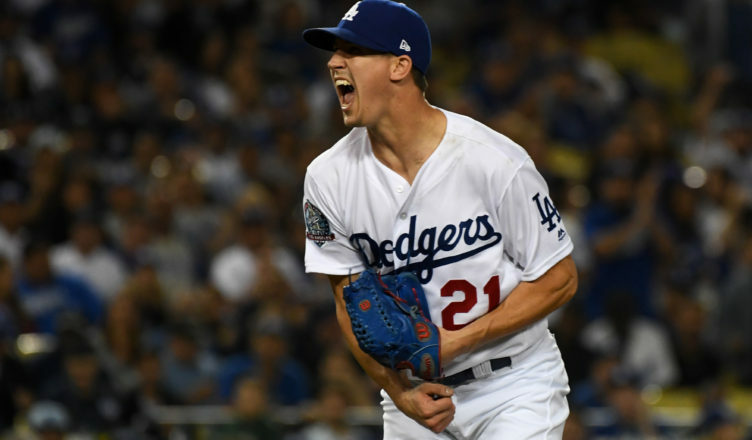 At first thought, this would seem like a clear-cut spot for Walker Buehler to make the start to clinch the division, however, there are many factors in play. If they start Buehler and don’t win the game, there is no choice but to resort to a Stripling/Bullpen start, or perhaps, Ryu on short rest in an elimination game on the road. If Buehler starts and they win, all they lose is his availability in a possible Game 5 in the NLDS (which Kershaw would most likely start anyway), as he would only be available to start Game 3. This shouldn’t be much of a factor in to the decision as they have to get to the NLDS first. By not starting Buehler, you save him for a possible wild card game in Chicago or Milwaukee, but what are the Dodgers chances if they opt to go with Stripling/Bullpen on Monday vs Rockies starter German Marquez? Well, according to a prominent Las Vegas sports handicapper the Dodgers win expectancy would be 55%, while a Buehler start can return a victory over 64% of the time. Is that 9% gain in equity worth risking Buehler’s availability to start a possible wild card game? According to the same source, the Dodgers win expectancy with the Stripling/Bullpen option in a wild card game at Chi/Mil vs. likely starters Jon Lester/Zach Davies is 41%/39% respectively. With Buehler starting it jumps to 54% in both scenarios. By holding Buehler back for a possible wild card game on the road, not only are they a favorite to win both games in a situation where they only need to win once, but they are gaining a difference of nearly 5% equity when comparing all scenarios as a whole. There is no doubt that Andrew Friedman, Farhan Zaidi, and the Dodgers analytics department have examined their win expectancy percentages for each possible scenario, as well as evaluated which will bring elimination the least often. After all, that is the one scenario they need to avoid over the next two days…elimination. Tough call, but I think you have to go all in to win today against the Rox, and make a much easier pathway going forward. No trip to Chicago or Milwaukee, and a better looking NLDS match up with Atlanta. No brainer as far as I can see. The real problems start to mount if we lose today. Thanks also to Scott and you guys for the effort you put in for us all. I agree. I would have used Buehler today, as well. I don’t know what today’s lineup will be but Dummy does not need any platooning today. Put in the best 8 position players you have. This includes Matt Kemp who has been treated like a bench player a good portion of the year. Why Dummy would sit him when he has the best numbers for all the Dodgers this year and he is an All Star is incredible. The whole FO and Dummy have mistreated him and it has to stop at least for the post season. Well, now we know that Dummy is not playing his 8 best players today. I hope Dummy gets fired at the end of the season and he is making it real hard to understanding why this is happening. If the team loses today I think he is history. He’s not history if they lose. According to this logic of the dummy, we should have lost this game. We didn’t, we won. Wins don’t come on logic, they come from execution by the players, both pitchers and hitters. The Dodgers did the job, and gave themselves a better chance to survive in the race for grace, the WS. This team rises to the occasion, time and time again. We may not be happy with the details, but we are happy with the results. Too much thinking does nothing to effect a win or a loss.